Free Shipping Included! 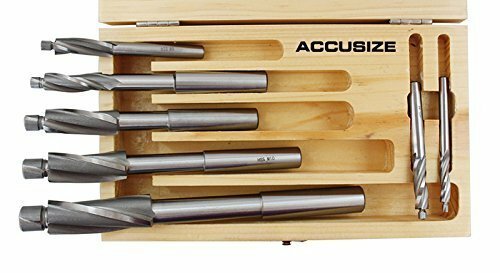 AccusizeTools - 7 Pcs/Set Premium Metric HSS Solid Capscrew Counterbore Set 3 Flute Straight Shank, 509S-007M by Accusize Industrial Tools at Enria Industries. MPN: 509S-007M. Hurry! Limited time offer. Offer valid only while supplies last.